For years I have made the case that Isabella Price could just be a daughter of John and Margaret Black Patterson (J&M). After all, we know that J&M had three daughters born between 1790 and 1800, according to the 1800 Buncombe Co NC census. Further analysis indicates that the oldest daughter was most likely born in 1790 or at the latest, 1791. The next daughter would have been born between 1791 and 1795, with the third daughter definitely born in April 1793, the latter being Amy Jane Patterson who is very well documented. But we know nothing of the other two daughters as they are out of the house by 1810. So, were they married already? Or, had they died young? Both are legitimate possibilities. At one time I thought one of the mystery girls was an Elizabeth who later married James Morrow. I've since learned she was not J&M's daughter, but rather the daughter of Peter Patterson, the uncle of both J&M. "Then along came..." not Polly, as the movie title goes, but rather one Isabella Price. Who? Yes, Isabella Price. No sign of any husband, just a son named Joseph Price, born in 1818. Isabella was born in 1792, some records say SC, others NC. But the scenario fit. She lived immediately next door to J&M in 1840, Union Co GA. She was near other Pattersons of the J&M clan as well, until her death in 1869. She is buried next to all these Pattersons in the Bethlehem Church Cemetery. It made sense. But too many questions remained. Where was she prior to 1837 when she bought 160 acres in Union Co GA? No sign of her around these Pattersons. Who was her husband? Was she ever married? Turns out, last Sunday's trip I made to visit a long lost Patterson cousin in Blairsville, GA (Elaine Patterson Gibby), opened a huge can of worms concerning Isabella Price. That wasn't the intent of the trip, but it turns out that Elaine owns the land Isabella Price used to own. She knows precisely where Isabella's house stood on the lot! You see, Isabella's son Joseph married into the Walker family, and Elaine's mother was Arva Walker Patterson. Her family knows the family legends concerning Isabella Price! Some of the stories indicate the Prices were English. All of the stories say Isabella was pregnant out of wedlock and never married. She was sent away to raise her son Joseph. This prompted immediate research, both by yours truly and also Elaine's son, Timothy Gibby. Tim found a site that says Isabella descends from a Price family from Rutherford Co NC. I found another site that corroborated that story. Extensive research and documentation has been done and shared on both websites regarding the Price family and it's allied families such as Lively (aka Lyfolly) and McGhee. I'm still waiting for a response from both webmasters regarding their specific info concerning Isabella, but at this time I am satisfied that Miss Isabella Price was born with that name and was NOT a daughter of J&M Patterson. Odd thing, however. I am still related to her. She descends from the McGhees of coastal Virginia from the 1700's and even 1600's. I am as well, on my mother's side of the family. In conclusion, I am convinced that Isabella Price was not a Patterson. It may just be that those two older daughters of J&M did not survive childhood. We may never know. As for Isabella Price... "Mystery Woman" no longer. 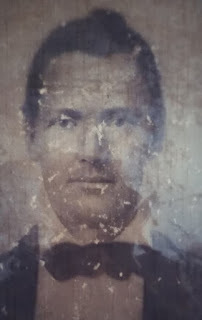 My great-great-grandpa was Billy Patterson - aka William Harden Patterson. He was a private during the Civil War as a member of the "horse company", initially serving in the Cavalry Battalion of Smith's Legion. His company was later merged into the newly formed 6th Regiment Ga Cavalry. Billy's mother died when he was about 12 or 13 years old. When he was 18, his father George remarried, to a much younger woman named Sophia Dunagan. Sophia was only a few years older than Billy. During the late 1850's and early 1860's, Sophia wrote at least five letters to her parents - letters which have been preserved to this day. I am grateful that James Neal has shared these letters with me as they have given me greater insight into the daily goings-on within this Patterson clan in Union Co Ga during those dark days. But more details exist than what's in the letters. The following story was shared initially by a man named Ewel Dunagan of Cullman, Alabama. The story highlights the tragedies many individuals and families faced during the Civil War - not just in war, but at home. Sophia's parents were Ira and Elizabeth Dunagan, and her brothers were Abner and Benjamin Dunagan. Again, thanks are in order for James Neal for sharing this link with me. In 1850 Ira and his family lived on the Fairmount Road leading out of Jasper in Pickens County [GA]. May 15, 1854, Ira served on the Superior Court Grand Jury, which was held under a huge oak tree before Jasper was a town. Ira was a farmer and a miller and people came from many miles around to his mill to get their corn ground into meal. Ira and Elizabeth had two sons and three daughters. Their sons Abner and Benjamin joined the Army of the CSA soon after the Civil War began. Abner was a farmer and was married to Lucinda Swofford of Union County. They had one son whose name was Andrew Jackson Dunagan who was about six years old when his father went to war. Benjamin was single and ran a grocery store when he had to enlist. During the Civil War in the south there were men in every community assigned as "Home Guards." One night seven of these Home Guards went to Ira's house. They thought Ira had some money and wanted it. He had over three hundred dollars in gold and silver which he had placed in a gourd and hid in a hollow stump. He covered the stump with rocks like many people did in those days when there were a lot of rocks in their fields. They would pile these rocks in a pile and plow around it. Ira would not admit to the men that he had any money. They were sure he had some money and they planned to make him tell them where it was hidden. He was close to sixty years old. They tied his feet with a rope and threw the end of the rope over the ceiling joist and had him swinging back and forth with his head down near the floor. Each man would knock Ira from one side of the room to the other, while two other men were pulling Elizabeth by her hair trying to get her to tell them where the money was hidden. 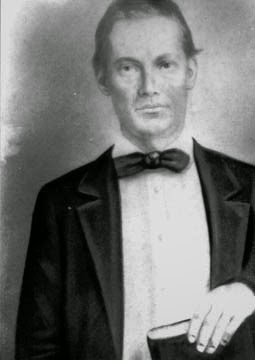 Andrew Jackson Dunagan, Abner's son, was staying with his grandparents. He had gone to bed and was asleep when he was suddenly awaken[ed] by the noise. He ran into the room and was knocked over into a corner and told if he moved or said a word they would kill him. He was about eight years old. The war had been going on for over two years when Abner decided he needed to go home to check on his family. He had been stationed in Memphis, TN, and was able to get a leave of absence for fifteen days. When Abner arrived home his parents told him about the incident and who the men were, because they knew each one of them by name. Abner stayed around for a few days, but abruptly left one day never to return taking his fathers only horse. Both Abner and his brother Benjamin were killed in the war. After the war was over one of Ira's neighbors who had served in the same Confederate unit with Abner, told Abner's parents what had happened that eventful day when Abner had left so suddenly. He had killed all seven of the "Home Guard" who had violated his parents and son that fateful night. When Abner had left that day he had gone to the home of the last man he was to kill and asked the wife where he was and called for him by name. She said he was in the corn crib shucking corn. This is where Abner killed the man. After Abner returned to his unit it was later told that he had become very bitter and extremely hardened. He killed many men before he met with his own death. Soon after the war came to an end, Ira and his family including Lucinda, Abner's widow and son Andrew Jackson Dunagan, moved to Winston County, Alabama. This is where Ira lived when he and Elizabeth died. They are buried in the Liberty Church Cemetery, in Winston County.